Clarach Bay Holiday Village0800 9550022work Holiday ParkClarach Bay Holiday Village provides great value self-catering caravan holidays and superb entertainment at the extremely popular Showboat Club. 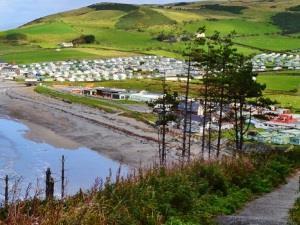 Clarach Bay Holiday Village provides great value self-catering caravan holidays and superb entertainment at the extremely popular Showboat Club. A family run, family orientated environment with its own beach and excellent views of Cardigan Bay you'll find everything you need for a fun-filled family holiday - a wealth of facilities and sparkling live family entertainment.